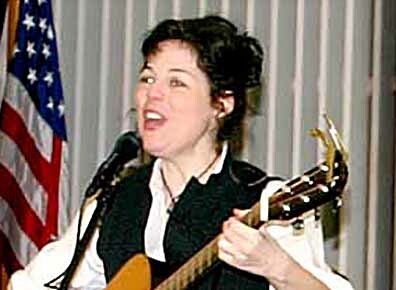 In honor of St. Patrick’s Day the Albion Area Arts Council will present singer Jill Anderson’s popular Irish-themed Celtic Cabaret this Sunday, March 12, at 3 p.m. in Albion’s Zion Lutheran Church. Celtic Cabaret is a musical tribute to the Irish. From bawdy to witty to wise, the Irish have always had a wry take on the state of their existence. An accomplished singer, songwriter, actress, playwright, producer and director, Jill will share songs that tell of wild brawls, hysterical dance mishaps, comedic culture clashes and many other ludicrous subjects. Jill will be accompanied by Bernie and Erin Lowis, who will provide fiddle, bass and guitar.